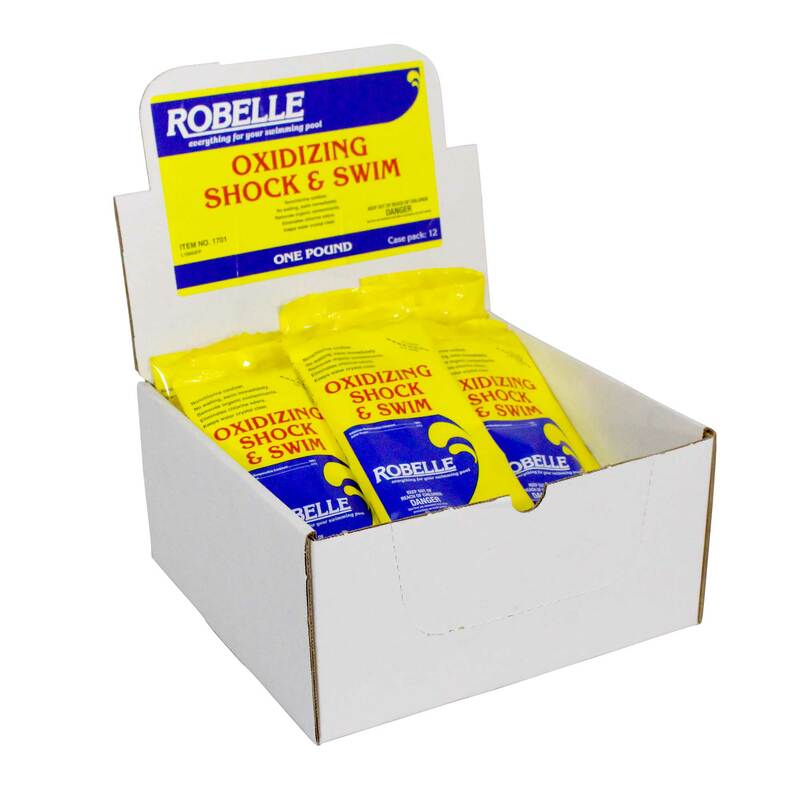 Robelle Oxidizing Shock & Swim is a Chlorine-Free Pool Shock. 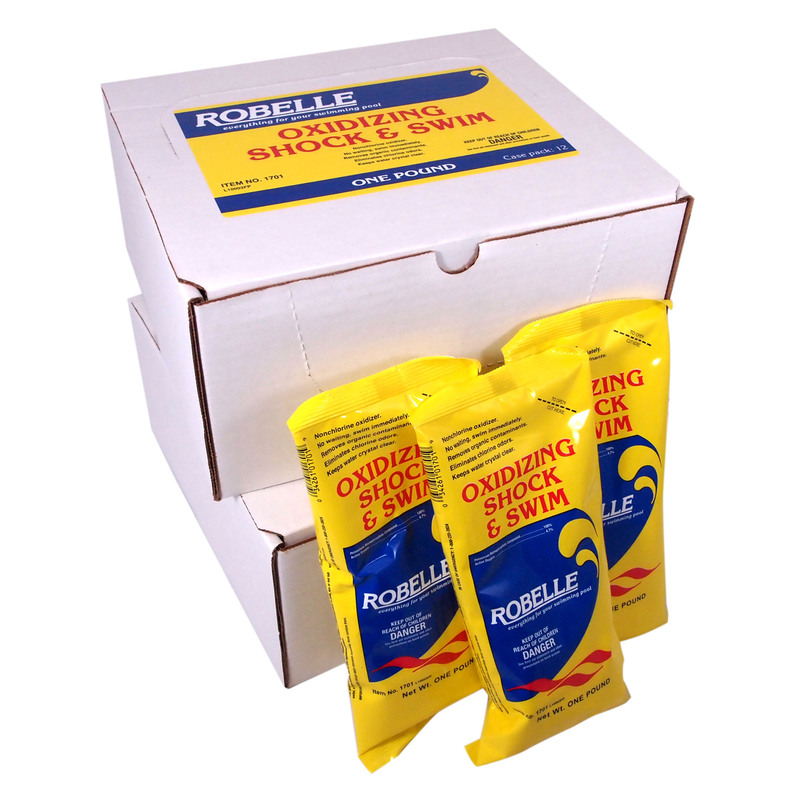 It is a Long lasting oxidizer which is made of 100% Monopersulfate. The convenient 1Lb. pouches treat up to 10.000 gallons. 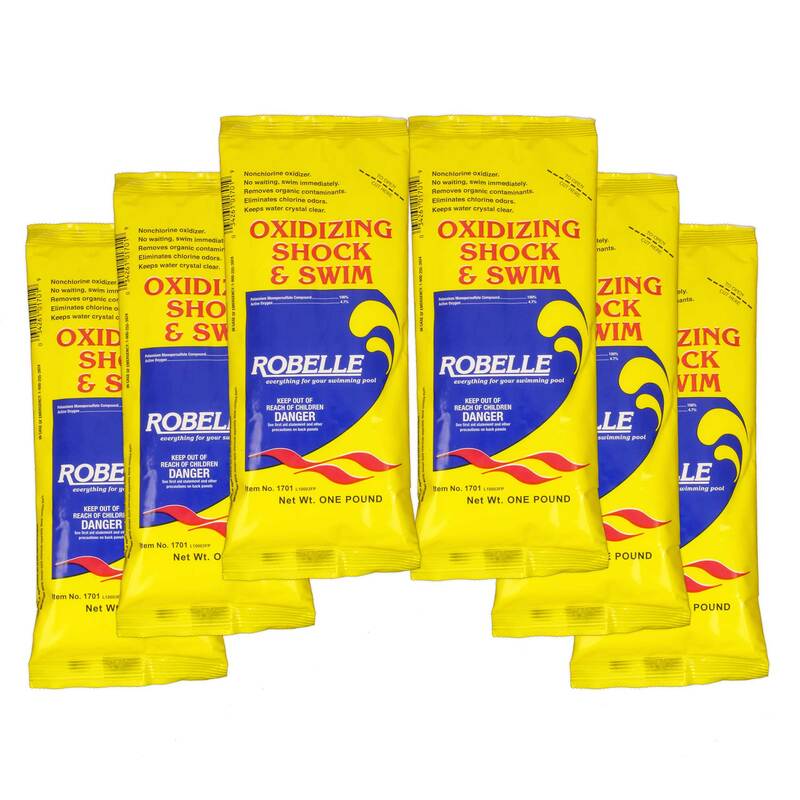 Robelle Oxidizing Shock & Swim is popular because swimmers can use the pool immediately after use. There is no wait time. 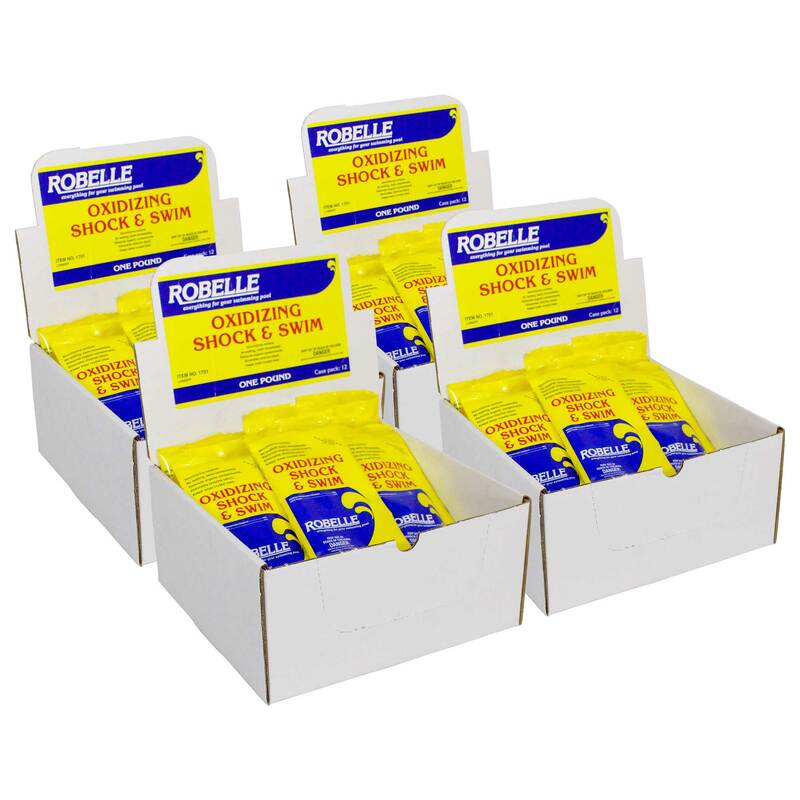 Shock & Swim is very Effective and it eliminates chlorine Odor. Use for weekly use. Item # 71414A.